Home >> Generated from JAN's SOAR Information System on 4/21/2019 1:06:50 AM. 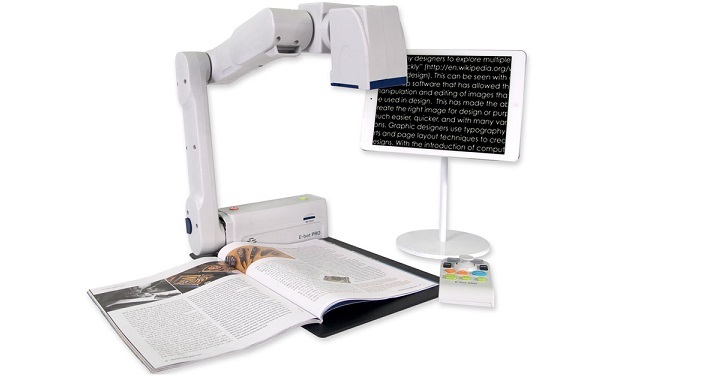 Display directly on your iPad screen via dedicated Wi-Fi wireless access point and use common touch-screen gestures to adjust the magnification level and image color, capture an image or OCR a document. . . and even control the camera movement. Or, connect with a Mac via USB 3.0 or PC via USB 2.0/3.0, or a TV or computer monitor with HDMI.